Deron Leslie successfully defended his Round de Valley Race crown on Friday, in the Bregado Flax Educational Center endurance race, with a time of 21 minutes and 51 seconds. J’Sally O’Neal claiming her first crown, with a 19 minutes and 51 seconds time. 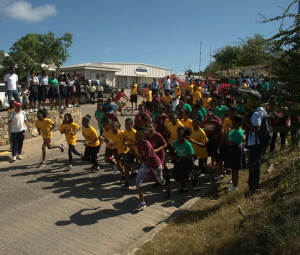 The race attracted 83 participants. Following Leslie in second in Friday’s race was Michael Woodley. 3. Joshua Rampersard. 4. Devante Samuel. 5. Jeremy Charles. 6. Kyreek Gardner. 7. Jaylon Levons. 8. Mordeci Fontaine. 9. K’Shoy Alexander 10. Mekhi Walters. Top Girls behind O’Neal were: 2. Annesia Stapleton. 3. Angel Thomas. 4. Jolene Brown. 5. Jakisha Rigobert. 6. Loreal George. 7. Desra DaSilva. 8. Ashanti Brown. 9. Sarah Bridgewater. 10. Dinnesse Daintee. 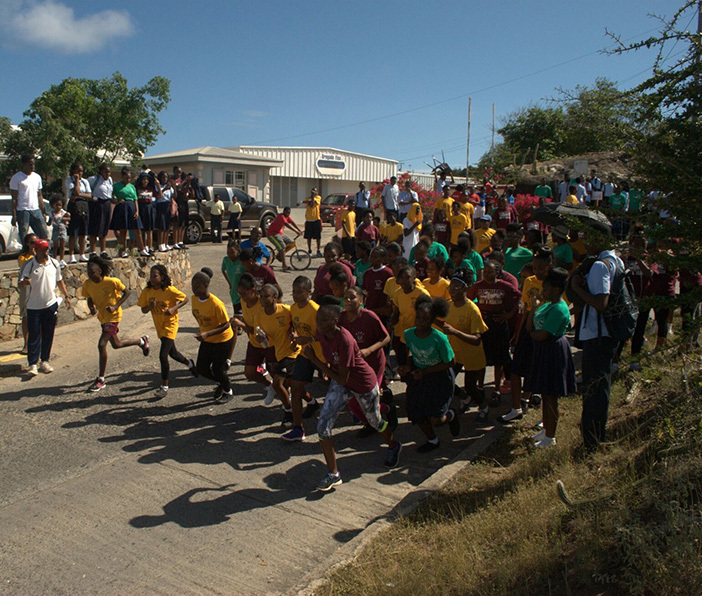 The endurance race which has been held for more than 20 years, precedes the BFEC Inter-House Sports Day scheduled for Feb 26. Most of the students are not trained nor are they fit, Weeks noted but last year’s winner Mariah Christian and this year’s winner O’Neal second place finisher Annesia Stapleton and Leslie, are Raw Skillz members.